Google Pixel 3 and Google Pixel 3XL will be launched during the October 9 event. Pixel 3 and Pixel 3XL are yet to be released, but the company has released a new teaser earlier. In this teaser, it is shown in which color the handset can be launched. 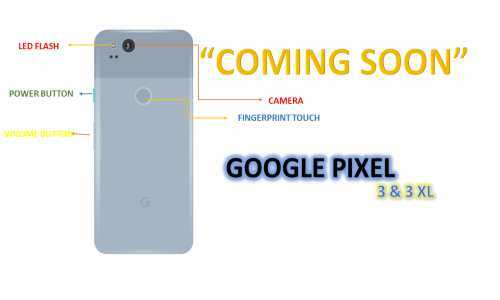 In the last few months, any information related to the Google Pixel 3 series has been leaked. But now the official teaser released by the company and it is becoming clear that this flagship smartphone from Google can be launched in three new colors. According to the teaser, Google can take the next pixel series into three-color variants. Look at 'Coming Soon' on the teaser page. Like the previous Google Pixel series, the company's 'G' logo appears on the bottom of the back panel of the phone. When the cursor rolls over, you will see two different frames. If you look at it in the first place, then the upper part of the frame will be dark colored, while the lower part of the second frame will be dark colored. In the first picture, the upper part is gray and the lower part is visible in white. Inside you will see the neo green color border. In the second picture, the upper part is visible in black and lower part dark gray color. In the third picture, the scarf of aquamarine color and dark shade appear in the upper part. This color model usually shows aqua and mint color in the smartphone. Recall that Google has introduced the Pixel and Pixel 2 series in White, Just Black, Kinda Blue, Quite Black, Really Blue and Silver Color Variants. Although there is no official information about the features of pixels 3 and pixel 3XL, although this is not the first time when the phone's features are leaked. Earlier even a report said that Google pixels 3 and pixels 3 XL will be launched on October. The information was given by YouTube's Influencers of Canada. A pixel 3xL 6.3-inch display. NOTE: -No information has been found about the phone's camera. ➧Google Launches Project Navlekha, Learn What's Special?